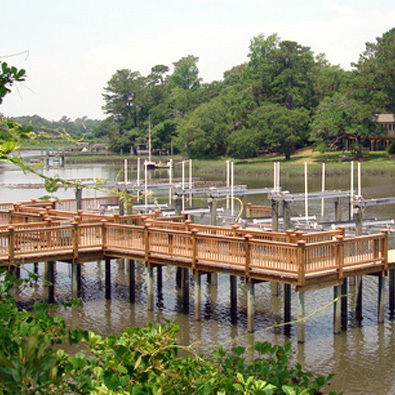 The convenience of having a boatlift is the ability to put your vessel in the water with the flip of a switch without having to leave your property. You can save on the high cost of bottom painting, haul cleaning, trailering your boat or even marina storage cost. We install any make, style, and size of boat lifts, aluminum or galvanized, electric or solar, small personal watercraft to 54,000 lb capacity and more. We can help you decide what size will fit your needs, and with our maintenance program and trained professional personnel, we will keep it running like new for years to come. Duncan Marine Contractors, Inc. services most makes and models of lifts. Whether you need a motor, cables or switches replaced on your lift, you can depend on our trained service professionals to get your lift operating again quickly.